Vinyl flooring is perfect for any area of your home that receives heavy traffic and use. 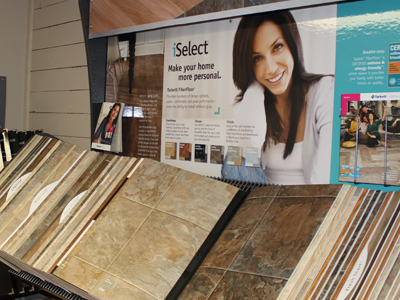 Vinyl flooring is exceptionally moisture resistant and easy to care for and maintain. Modern advances in vinyl floor production have created a wide variety of styles, colors and types to choose from. Whether you prefer a wood floor look, natural stone or traditional colors and styles, at J R Flooring you’ll find quality sheet and engineered luxury vinyl to give you almost any look you desire.